September 13, 2017 – All components of the United Launch Alliance Delta IV Heavy rocket that will launch NASA’s Parker Solar Probe have arrived for prelaunch processing at Florida’s Cape Canaveral Air Force Station. The rocket’s second stage arrived Saturday, August 26, along with the third and final common booster core, which will complete the first stage. 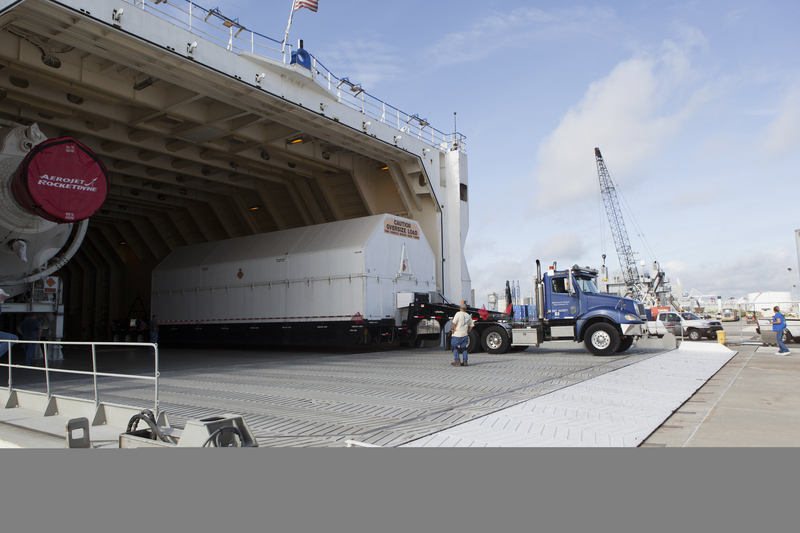 The hardware was delivered by ship to Port Canaveral, then transported by truck to the Horizontal Integration Facility at Space Launch Complex 37. The Parker Solar Probe mission is expected to lift off in summer 2018.